You are here: Home / Announcements / Welcome to the Family! We are proud to officially launch our new company logos along with the introduction of two new divisions, Pit Cru and Cru On the Go . The new logos and divisions symbolize the our focus on providing the freshest culinary creations to the Lowcountry. 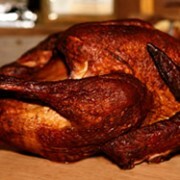 Pit Cru: Pit Cru is the newest division of Cru Catering that focuses on all types of barbecue. 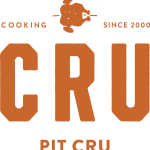 Pit Cru specializes in Low Country favorites including whole pig roasts, pork, beef, turkey and chicken that is hickory-roasted for hours. Perfect for rehearsal dinners, company picnics, corporate events, weddings, graduations and any event in search of a laid back approach to affordable catering. 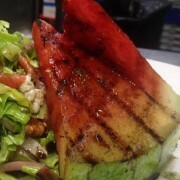 Pit Cru also offers BBQ stations, oyster roasts, sandwiches, burgers, soups and more. 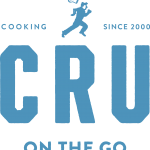 Cru On the Go: If you’re ready for a delicious step up from your ordinary box lunches, then Cru On the Go is for you. This corporate box lunch service provides a quality, healthy lunch served with an attractive presentation to impress clients, future employers, employees and more. With an order minimum of 10 people, Cru On the Go is perfect for medical professionals, schools, special events, real estate agents and more. 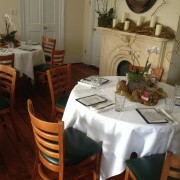 Cru Catering: Voted Charleston’s #1 Caterer for 13 consecutive years by The Charleston City Paper readers, Cru Catering offers “Full Service Customized Catering” for events of all sizes. Also voted Charleston’s Best Caterer from The Knot Best Of Weddings, Cru utilizes a wide variety of culinary tastes fused with international cuisines to offer the freshest ingredients available. 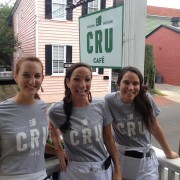 Cru Catering opened in 2000 and spearheaded the opening of one of Charleston’s best restaurants, Cru Café. 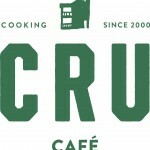 Cru Café: Already a staple in the Charleston food and beverage industry, Cru Café is Charleston’s home to some of the best gourmet comfort food in the Lowcountry. 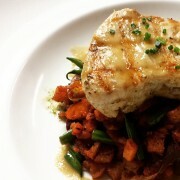 Cru Café is the culinary creation of renowned Le Cordon Bleu graduate, Chef John Zucker. 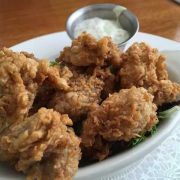 Opened in 2002 in response to overwhelming demand, Cru Café is a culinary destination off the beaten path serving comfort daily in a classic 18th century Charleston single-style home. 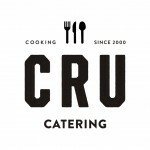 For more details on the new Cru family of brands, visit www.crucatering.com and www.crucafe.com. Don’t forget to follow us on Facebook, Twitter, Pinterest and Google+. 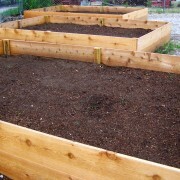 http://crucafe.com/wp-content/uploads/2017/05/logo-cru-cafe-340x156.jpg 0 0 admin http://crucafe.com/wp-content/uploads/2017/05/logo-cru-cafe-340x156.jpg admin2013-02-20 14:51:252013-02-20 14:51:25Welcome to the Family!